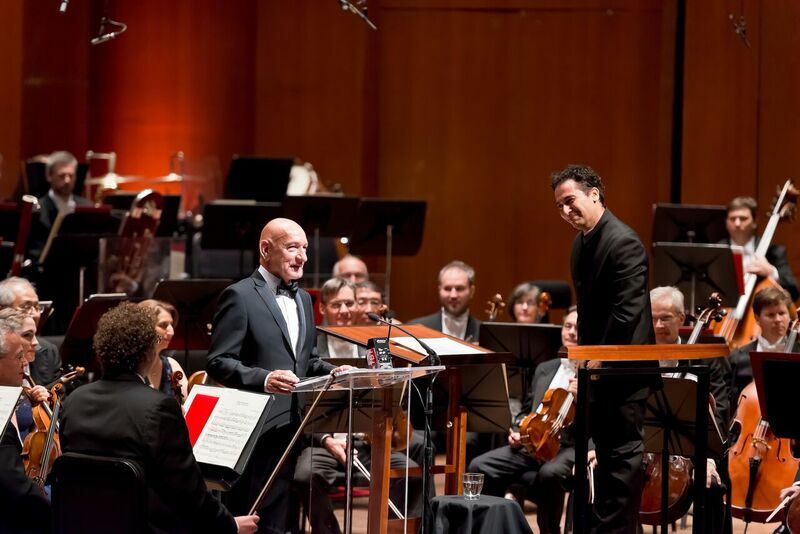 Sir Ben Kingsley (left) with Houston Symphony conductor, Andrés Orozco-Estrada (right). It would be a day full of exquisite music. In the afternoon I had the pleasure of viewing a telecast of the American Film Institute’s Life Achievement Award, a presentation honoring brilliant film composer, John Williams, earlier this summer. The program included a lush sampling of the vast music of this great cinematic genius, and many clips of the related motion picture scenes. It all left me feeling I should revisit so many of the classic films scored by the legendary composer. If that was not enough happiness, a few hours later I would have the thrill of attending last Saturday evening’s elegant Opening Night performance of the Houston Symphony’s new season, and it would mark the 30th anniversary of ConocoPhillips support as the Opening Night Sponsor. And elegant it would be, with the musicians and many of the orchestra’s benefactors and season subscribers arriving on the Jones Hall red carpet dressed beautifully in formal attire in anticipation of the Opening Night Gala that would follow the concert. 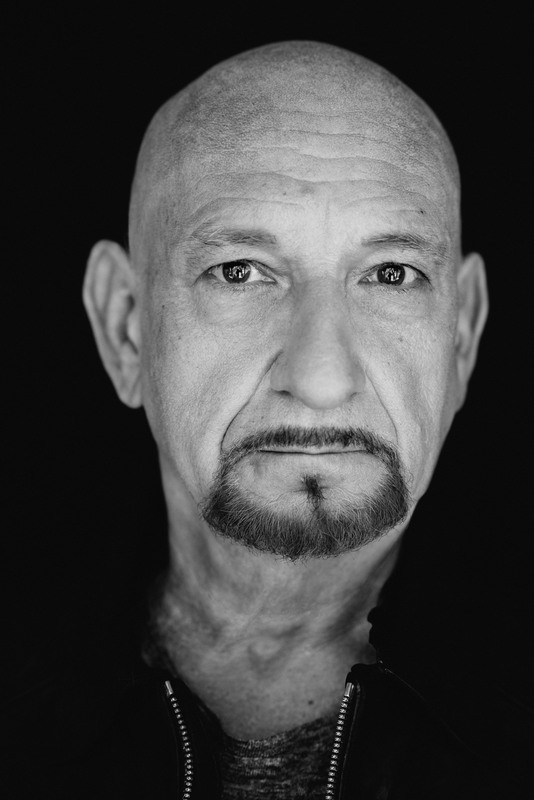 Making his debut with the symphony, and adding to the grandeur of the evening, would be the splendid appearance of Oscar-winning actor, Sir Ben Kingsley, in the role of narrator for Prokofiev’s classic masterpiece, Peter and the Wolf, Opus 67. The additional music selected for this concert would come from the opera repertoire, and pleasantly reminded me of a time years ago when I enjoyed season subscriptions for a box at New York’s Metropolitan Opera. The program opened with the orchestra’s thrilling performance of the National Anthem, and the audience joined in singing along with the kind of unusual gusto that may be reserved for a year filled with Presidential election suspense and patriotism. The concert’s first offering was Gioachino Rossini’s Overture to La gazza ladra (The Thieving Magpie). It opens with an atmosphere of joyous pomp and circumstance that seemed most appropriate to the important occasion that was underway. The pulsing richness of the strings would give way as the conductor, Andrés Orozco-Estrada, momentarily turned toward the audience to conduct the exciting echoing snare drum secreted somewhere in the upper balconies. The work’s tender delicacies and whirling delights would alternate with thunderous percussion that gave the conductor ample opportunity to display his graceful and athletic skill on the podium. As the ever-rising excitement of the piece moved toward the thrilling conclusion, I wondered again (as I did in a review one year ago when Mr. Orozco-Estrada had just taken over as the orchestra’s 15th music director) if the conductor may have been a brilliant ballet dancer in some previous existence. The second selection from the world of opera would be the Suite from Der Rosenkavalier, Op. 59, by Richard Strauss. Resounding French horns led the way in opening passages as rich and soaring as any climax. Shimmering sections glittered like the countless evening gowns throughout the hall, while others offered a lush, warm embrace so gentle they could be used for stress therapy. There would be moments of unexpected ferocity, soothing sections of waltz, and ultimately a dramatic conclusion that wraps its arms around us and sweeps us away with its power. Returning now to the superb narration of Sir Ben Kingsley for Peter & the Wolf, it was a delight from the moment he introduced the related characters and sections of the orchestra: Peter (the strings), Bird (the flute), Duck (the oboe), Cat (the clarinet), Grandpa (the bassoon), Wolf (French horns), and The Hunters (timpani and bass drums). Then it was on to the musical delights of the charming story as Kingsley, looking fit and trim in a handsome tuxedo, brought his rich voice, perfect timing and commanding presence to the task of sharing the classic tale. Just as intended, it was a highlight of the evening. This entry was posted in American Film Institute, Andrés Orozco-Estrada, BroadwayStars.com, Concert Reviews, Der Rosenkavalier, Gioachino Rossini, Houston Symphony, John Williams, La gazza ladra, Peter and the Wolf, Sergei Prokofiev, Sergei Rachmaninoff, Sir Ben Kingsley, The Villager Columns, ThePeoplesCritic.com, Uncategorized, YourHoustonNews.com and tagged American Film Institute, Andrés Orozco-Estrada, concerts, Der Rosenkavalier, Gioachino Rossini, Houston Symphony, John Williams, La gazza ladra, music, Peter and the Wolf, Sergei Prokofiev, Sergei Rachmaninoff, Sir Ben Kingsley. Bookmark the permalink.